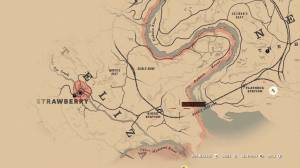 - What happens if I don’t pay my bounty? 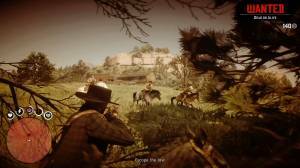 What happens if I don’t pay my bounty? Regardless if people recognizes you or not, your bounty will pile up as you commit crimes. They won’t disappear over time, even if the lockdown on the town where you committed the crime has been lifted. The amount of bounty on your head will pile up as you commit more crimes and can span out of control to the point that you’ll be unable to pay it of immediately. Those bounties should be taken care of immediately, otherwise it will make your life a lot harder especially if you plan to roam the region freely. There’s also chance for people to recognize your face and report you to authorities. The higher amount of bounty on your head, you’ll have more encounters with bounty hunters. They travel in a group of 4 or more hunters and will be actively tracking you down. They will also set up roadblocks along major roads, limiting your travel options. While you can defend yourselves against them and you can even loot their bodies without honor loss, it’s still easier to explore and travel without being hunted. 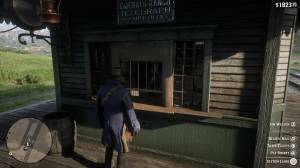 The only way to pay your bounty is through the post office, located in every train station. You can also pay for your bounty for other regions. As soon as you pay your bounty, any lockdown will be removed and you’re free to roam without worrying about bounty hunters tracking you. The exception for this is Blackwater, which, as part of the story, still going to be on a major lockdown where your gang is wanted, dead or alive.